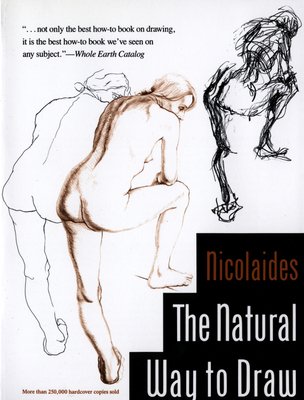 Kimon Nicolaides was born in Washington D.C., in 1891. His first contact with art was a subconscious familiarity with the oriental objects imported by his father. He decided early that he wished to paint, but he had to run away from home to study art because his parents were unsympathetic to the idea. He supported himself in New York by whatever came to hand - framing pictures, writing for a newspaper, even acting the part of an art student as a movie extra. His father was finally won over by his obvious seriouness and financed his instruction at the Art Students' League - under Bridgman, Miller, and Sloan. When the United States entered the first World War, Nicolaides volunteered in the Camouflage Corps and served in France for over a year, receiving a citation. One of his assignments, involving the study of geographical contour maps, first opened up for him the conception of "contour" which constitutes Exercise One in this book. After a period of work in Paris (1922-23), he was given his first one-man show by the famous Bernheim Jeune gallery there. Back in New York, he held his first exhibit at the Old Whitney Studio Club, now the museum, and settled down to painting and teaching. As a painter, choosing to work painstakingly and exhibit seldom, he became known to the critics gradually but unmistakably for "the range of his work," "originality of technical approach," "richness of mental concepts" and his "eager, restless pursuit of new aesthetic experience." As a teacher, during the next fifteen years, he became, as the Art Digest put it, "second father" to hundreds of students who passed through his classes at the Art Students' League of New York. Scrupulously honest and high-principled, endowed with humor, richness and warmth of personality, sanity and balance, his extraordinary talent for human relationships grew with his wide contact with increasing numbers of students. Although he died in 1938, at a tragically early age, he left behind a tremendously devoted following of brilliant young artists, as well as the unique and concrete system of art teaching presented in this book.